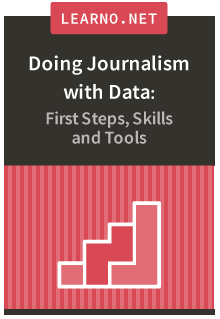 "I found that the course assisted me in defining where my strength lies in data journalism, especially because I come from an environment where I am the only person who is interested in it, therefore I have to be somewhat a jack of all trades. But now I know where I need more assistance.” "
"I absolutely loved this class. I copied all the notes that came with each module and I plan to go back over the exercises they outline and then over the discussion points, which I skipped because I didn't have enough time."